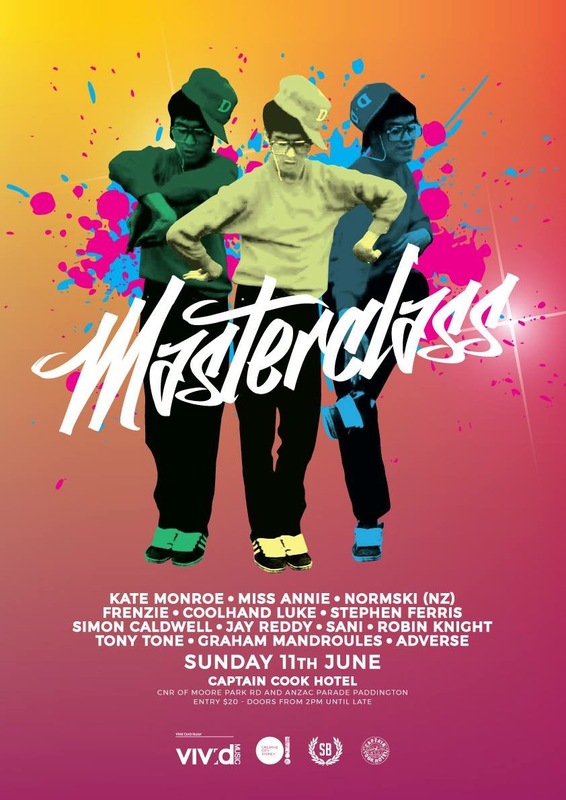 FUNK EVENT – MASTERCLASS on THIS SUNDAY JUNE 11 2017 | SOUL OF SYDNEY FEEL-GOOD FUNK SOUL DISCO vibes & beyond. We highly recommend checking this event out if your are keen for a Sunday afternoon old school funk get-down. The last few rooftop parties they did were so special to witness, taking things right back to better days, older crowds, intimate party vibes, friends of friends, strictly about the music & nothing else all lit together by some of the first cats to play FUNK music in Australia. This instalment is on Sunday June 11 from 2pm at CAPTAIN COOK HOTEL.